Excellent Free Prepper Thriller Kindle Box Set + 187 Recipe Cookbook Bundle Today! 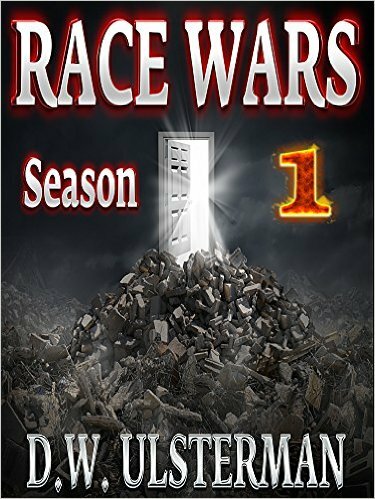 *Thrilling Prepper Fiction: RACE WARS: Season One: Episodes 1-6 of a doomsday fiction series… by D.W. Ulsterman, J.T. Prepper, T.S. Doomsday. Price: Free. Genre: Prepper Box Set, Sponsor, Post Apocalyptic, Survival. Rated: 4 stars on 20 Reviews. 105 pages. ASIN: B00XZ8HT08. Reviewers love it: Exciting read that makes you think about what is going on around us today! Scary, because it is real! This is a wonderfully written set of stories telling of race motivated brutality in America. Compelling! I absolutely recommend it! Cookbooks: 187 Recipes Bundle: Paleo Cookbook, Ketogenic Diet Cookbook, Wheat Belly Cookbook, Atkins Cookbook, Mediterranean Diet Cookbook, Gluten Free … (Healthy Meal Plans, Practical Superfoods) Kindle Edition by Sandra Williams. Price: Free. Genre: Vegetables, Gluten Free, Low Carbohydrate, Paleo, Wheat Free, Low Carb. Rated: 5 stars on 4 Reviews. 449 pages. ASIN: B01722VI0Y. Posted on February 19, 2016 Author KibetCategories Free Box Set Kindle BooksLeave a comment on Excellent Free Prepper Thriller Kindle Box Set + 187 Recipe Cookbook Bundle Today! Free Prepper Thriller Kindle Box Set of the Day, Box Set Deal 17th February 2016! $1 Action-Packed Prepper Thriller Deal, Seasons 1-3! 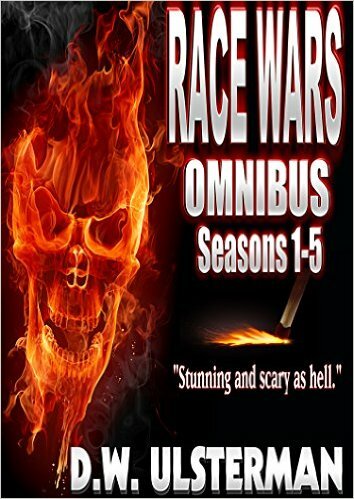 *Post Apocalyptic Fiction: RACE WARS OMNIBUS: Seasons 1-3: A thrilling post apocalyptic American survivalist series… by D.W. Ulsterman, American Survivalist. Price: $0.99. Genre: Prepper Thriller Box Set Deal of the Day, Sponsor, Dystopian, Post-Apocalyptic. Rated: 4.3 stars on 15 Reviews. 398 pages. ASIN: B0141OXQVA. Reviewers love it: I was blown away by how relevant these books are to what is happening today! Action-packed and awesome, I can’t wait for more! It encourages some deep, honest thinking. Gripping and well written! One of the very best! Posted on February 17, 2016 Author KibetCategories Free Box Set Kindle BooksTags $1 Box Set Deals, Free box setLeave a comment on Free Prepper Thriller Kindle Box Set of the Day, Box Set Deal 17th February 2016! *IRELAND: The Ultimate Travel Guide and 125 Travel Tips You Must Know Box Set (Ireland, Ireland Travel Guide, Ireland Guide) by Luke Lynch. Price: Free. Genre: Ireland, Travel, Ecosystems, General. Rated: 4.6 stars on 12 Reviews. 93 pages. ASIN: B018YJRDAS. DIY Projects BOX SET 2 IN 1: 40 Outstanding DIY Household Hacks That Will Improve Your Home And Save Your Money! : (diy projects, DIY Household Hacks, Save Money, DIY Free) by Nadene Baldwin, Pamela Born. Price: Free. Genre: Houses & Hotels, Fashion, Design & Construction, Arts & Photography. Rated: 4.6 stars on 5 Reviews. 52 pages. ASIN: B00ZO50DSU.